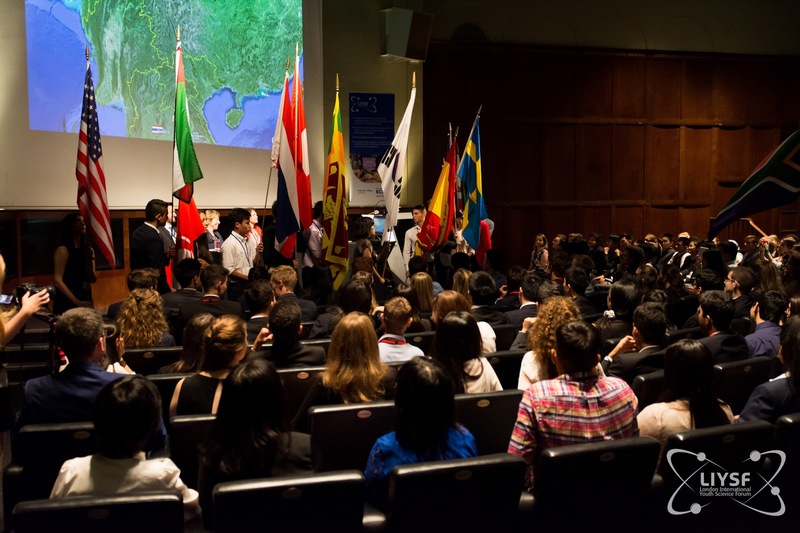 The London International Youth Science Forum (LIYSF) had their largest ever forum this year with 470 participants from 65 countries. These past 14 days have been filled with jaw-dropping science, curious minds and incredible participant stories. 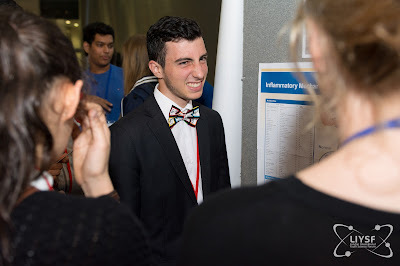 The London International Youth Science Forum officially began with the Opening Ceremony on Thursday 23rd July 2015. Over 120 students presented a research project at the LIYSF Bazaar, which earned them their position at LIYSF. Research topics included using enzyme inhibitors to treat asthma, potential uses of induced pluripotent stem cells, water toxicity tests, humanoid assistants controlled by brain waves and many more! Ten students from the LIYSF Bazaar were also selected to present their projects at the Famelab: Student Topics evening. Amine Bouchari and Davide Rovelli, Italy, presented their prototypes for an environmentally friendly bleach battery, Chelsea Herbert, UK, currently researches the VE/Cre mutation and it’s affect in colorectal cancer and Greetel Joanna Võrk, Estonia, studies the occurrence of hypermobility in ballet dancers. 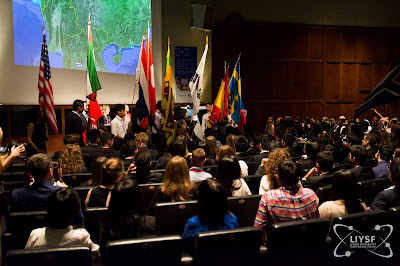 Students of the LIYSF have the unique opportunity to tailor their program by selecting lectures and optional visits that align with their interests. On Monday 27th, students participated in the Specialist Study Day, which allowed participants the opportunity to spend an entire day interacting with specialists from various scientific fields. Speakers included Sir Colin Terry, who discussed his career in engineering, Professor Alexandra Blakemore, who spoke about the links between genetics and obesity and Dr Seth Zenz who enthusiastically explained how the Higgs Boson Particle was discovered at CERN. Respected professors and doctorates travelled from around the world to speak at LIYSF. Our principal lecturers included Dr Michael Londesborough, Professor Lord Robert Winston, Huw James and even Professor Mark McCaughrean from the Rosetta mission! The optional visits offered included excursions to the Anaesthesia Heritage Centre, the Royal Botanic Gardens and various scientific departments in Imperial College and University College London. Another set of optional visits included in the LIYSF program is the Cambridge/Oxford Day. Ah Cambridge and Oxford. Who hasn’t heard of them? The only problem with the Cambridge and Oxford day is deciding which university to go to! The 2015 London International Youth Science Forum concluded on the 4th of August, after an intensive student debate, an engaging lecture from Professor Lord Robert Winston and an emotional closing ceremony. The student debate covered three ethically-based topics: Should we use nuclear power, should embryonic stem cells be used in research, and science opens more and more doors, but have our ethics been compromised? 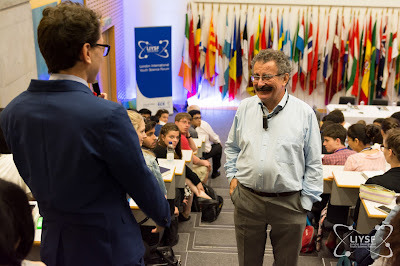 Professor Lord Robert Winston, a professor, medical doctor and scientific researcher, discussed the eugenics movement during the early 20th century, the illegal sterilisation of teenage girls and his work in microsurgical procedures that can reverse female sterilisation. He also spoke about how ethics in science and medicine has evolved over the past decade, and how important it is that we provide the utmost respect and care to those in need. During the closing ceremony, the director of LIYSF, Richard Myhill, gave thanks to the many people who make LIYSF truly spectacular: the speakers, the staff, and above all, the inspiring participants. Students would agree that it is truly an honour to attend the London International Youth Science Forum. Being surrounded by such enthusiasm, creativity and innovation reminds you that bright, curious minds have the ability to change the world we live in, and I cannot wait to watch them succeed. Find out more about LIYSF by visiting their website here.